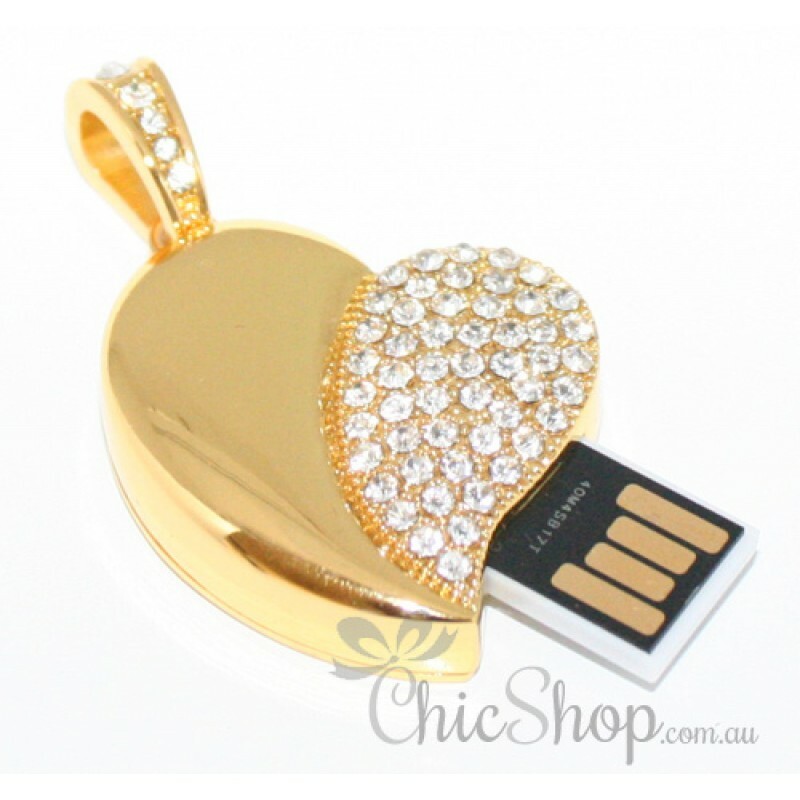 This gold colour heart-shaped jewelry USB Flash drive of 8GB incorporates both fashion and technology together bringing ultimate creativity and convenience for data storage with a stylish, external design that embraces your unique personality. 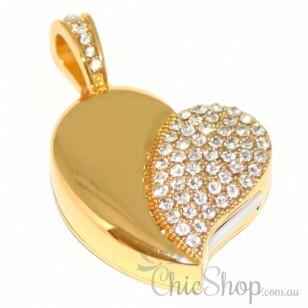 Decorated in rhinestones bringing bling look. 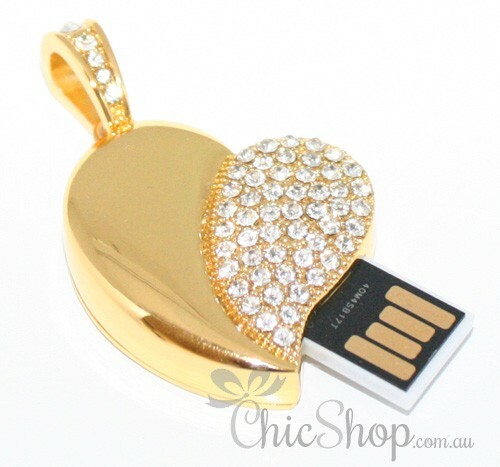 This is definitely qualifies as an amazing cool gift or self-treat.